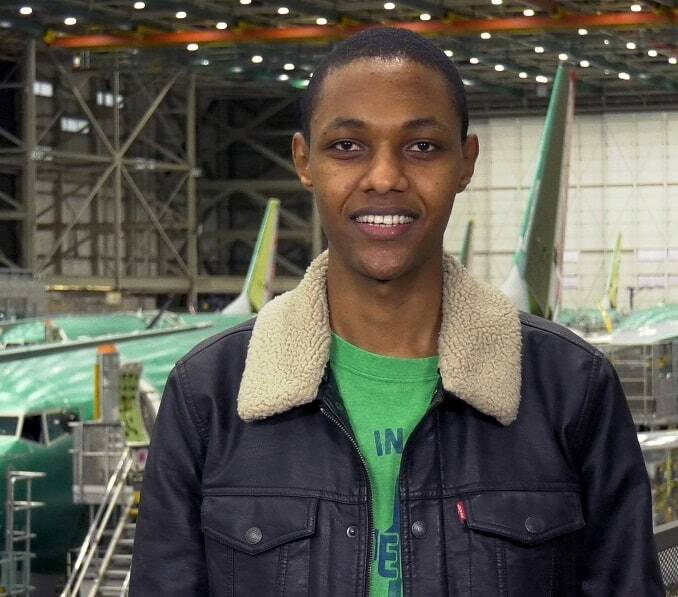 Meet Gada Ahmed, a 737 structure mechanic at Boeing. I was born in Ethiopia and raised in Kenya. When I was 16 years old my family moved to the United States. I attended Franklin High School and completed the Core Plus Aerospace Manufacturing Program at Seattle Skills Center based at Rainier Beach High School. Additionally, I attended The Museum of Flight Aeronautical Science Pathway Program under the Boeing Academy for STEM Learning through Puget Sound Skills Center and concurrently enrolled in Running Start at Seattle Central College and Green River College. How did you become interested in manufacturing and Core Plus Aerospace? I was particularly encouraged by an immediate friend. I always was fond of troubleshooting and precisely working with my hands. During the summer I took multiple instructional flights sponsored by Cascade War Birds scholarship. Being the recipient of The Museum of Flight Sam and Betty Houston full scholarship, my initial intent was to enter the Aeronautics and Astronautics department at the University of Washington. At the same time, I received an employment offer from Boeing. 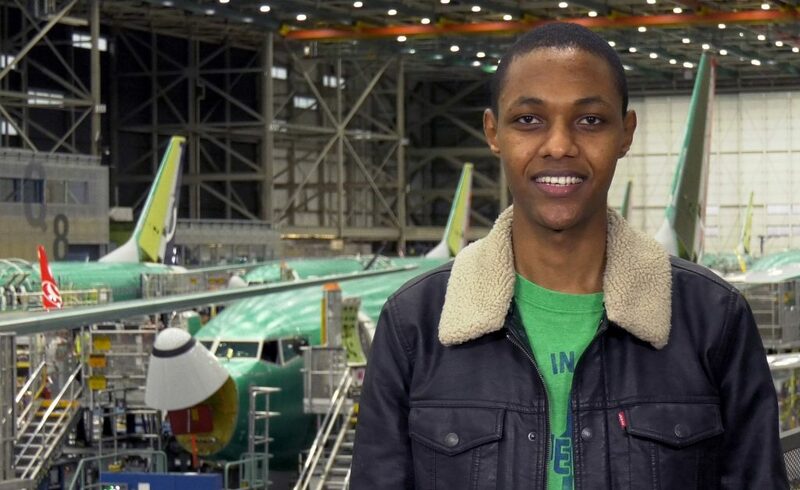 The work excited me so I decided to accept the offer knowing that I also could continue to pursue education, which Boeing would help pay for. Do you have plans for additional training or education? Currently, I am wrapping up course requirements for an Aviation Maintenance Technician position offered through, and paid for by, Boeing. Eventually, I will obtain my Aeronautics and Astronautics Degree from the University of Washington and attain additional pilot ratings to ideally be considered for a test pilot position at Boeing.